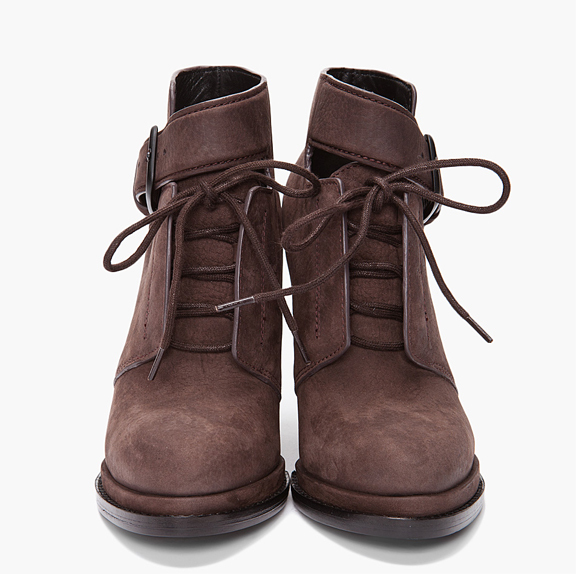 I love these fall Alex Wang boots. They'd look cute with jeans and skirts alike, and their vintagey brown color adds a certain je ne sais quoi. Solid all around. Love them! I would totally live in these this fall! oh yes, they are gorgeous! Solid all around is right. These are amazing - just good boots no matter what the outfit is. I too am in love with these boots!!! debating between black and the brown!!! Hope your having loads of fun in NYC!!! Try to stay safe this week-end! YUP. you need these. I love how so much of what he does accessory wise come with a distressed look. so so ideal for rocking that je ne sais quoi!